So you know all about the buyer’s journey and you’ve created one that’s unique to the buyers of your product and industry. 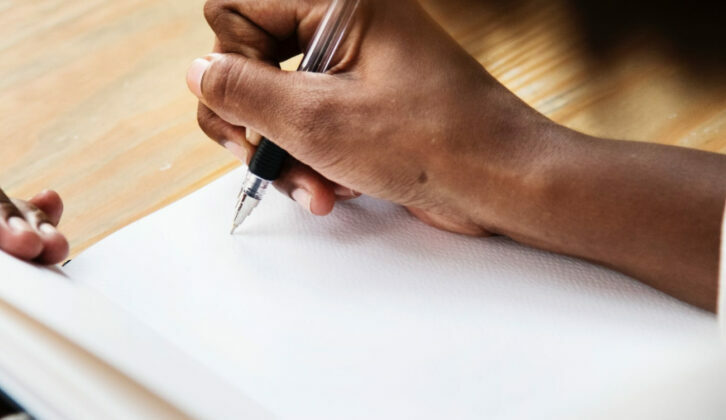 Now comes the hard part (which also happens to be the most time-consuming): creating all the content you need for each phase of this buyer’s journey. Each stage requires certain types of content that try to get your audience to do something different. Let’s first look at what a buyer’s frame of mind in the awareness stage is—and how that dictates the type of content you’ll want to create. The awareness stage is your shot at an introduction. They’re nowhere near ready to buy. They may not even be able to articulate their problem clearly at this point unless they’ve already started doing research. Right now, they’re just open to hearing what you have to say. True. But though this doesn’t look promising just yet, it’s also a huge opportunity. Most sales teams are probably thinking the same thing: that these early awareness-stage leads are not worth going after because they’re not a sure thing. What if, unlike these other passive and short-sighted businesses, you actually tried to nurture these awareness-stage prospects and gently nudge them further down the buyer journey toward the consideration stage? If you’ve seen Inception (cinematic masterpiece, totally recommend it) before, then you’re already familiar with this idea. If you haven’t, this is basically the part where you use your powers of suggestion (and marketing) to plant an idea in your prospect’s mind—which will get them to remember your product later on when they’re finally ready to buy. With a little patience, you could be banking a list of prospects who’ll be considering your product at the top of their shopping list in the future. Here are 3 steps to creating awareness phase content. 1. Set a clear, awareness-stage-specific goal. Yes, your prospects could very well read your painstakingly crafted and very expensive content—and then go off and buy your competitor’s product. Don’t ruminate on that right now. Focus instead on thinking of the best way to move these people from the awareness stage to the consideration stage. That will be the goal of your awareness-stage content. Do you want to pay less for traffic to your site and increase the number of organic visitors (aka. people who find your site through Google)? Do you want more followers on social media? Decide on a goal for your content, whether it’s for a one-off campaign or a project that will take up the next three months. Pro-tip: Make sure your goal fits the awareness stage. Being ambitious is nice, but there really is no point in setting a goal like “I want our content to drive purchases” this early on. Try to persuade a prospect to go from “Oh I know this brand!” to “Oh this brand is cool… products aren’t bad either… this is interesting.” If you can do this with your content, then you’re well on your way to getting more prospects to consider your product as a viable option later. Now it’s time to do some extensive research. A key question you want to know the answer to: What type of content does your audience like to consume? Do they check social media for news? (LinkedIn or Twitter, or both?) Or do they like being spoon-fed information by industry blogs? Or maybe they’re really into podcasts? 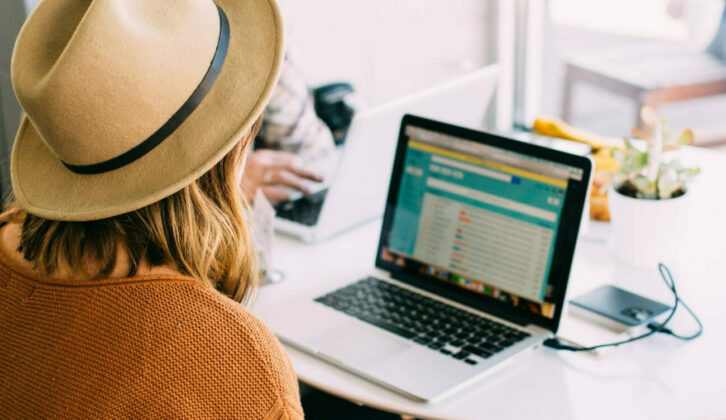 For example, according to the 2018 Content Preferences Survey Report, 71% of B2B buyers said they consumed blog content before a purchase, and case studies were the most common type of content used to research purchase decisions for B2B buyers. But before you start pumping out ten case studies a month, know where all this content will live online—and have a plan for how you’ll lure your audience to them. The best videos and podcasts in the world are useless if no one can find them. Pro-tip: Start talking to your SEO manager early on in the content creation process. As in before it begins. They’ll have valuable insight about what terms people are using to find you online, what keywords you should attack to expand your audience, and the best topics to spend your time and resources creating. If you have a team of writers and designers, this part will be relatively straightforward. If you don’t, you’d best start looking for contractors. Content creation is a serious project that takes time and funds if you want it done well—but the ROI will be well worth it if you manage to execute. 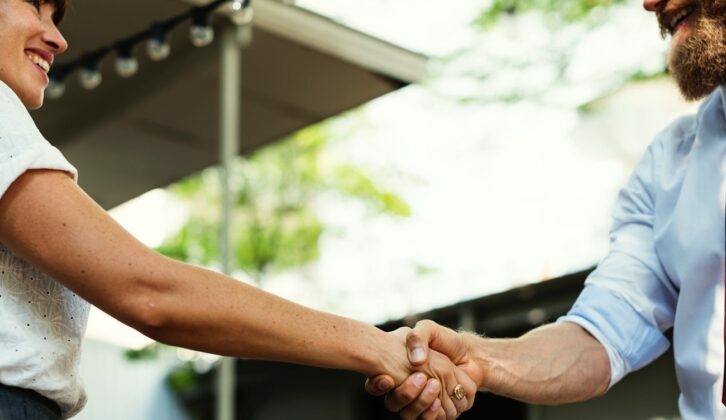 In order to attract all these prospects who have problems that you can solve, you need to be able to show them—confidently—that you fully understand their needs. That you’re the expert. The trick is to do this without being pushy, and maintaining this balance is where many marketers fail. These people either don’t know you or know very little about you. If a stranger came up to you and immediately started telling you about the top eight reasons why they’re the best at solving your problem, you’d be weirded out and/or turned off—even if their offer sounds promising. Pro-tip: The most credible and engaging awareness-stage content can accomplish one of a few goals: they can get you leads, generate demand, and even boost your brand awareness. The best content out there can do all three. 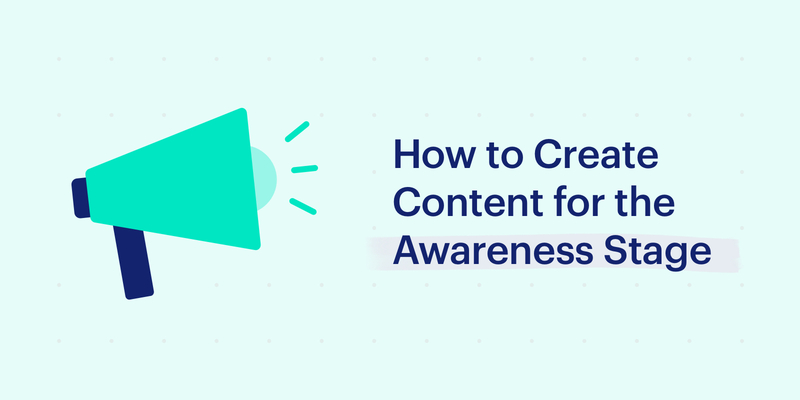 What types of content should you create for the awareness phase? Remember, anything you create this early in the game only needs to position your brand as a trustworthy expert—nothing more. The good news is that you can do this with pretty much any type of content. Here are a few examples. You’re probably most familiar with this type of awareness-stage content. Blog posts and articles are everywhere online. Marketers love using blog posts to target keywords and boost search engine rankings. Blog posts are way easier to create than videos and other more design-intensive types of content. Even a small team can push out large quantities of blog posts quickly. Marketers love lead-gen content because it gets you the most tangible and immediate rewards. This includes anything from ebooks to whitepapers to webinars and any other types of content that can be offered in exchange for someone’s email address (and other useful tidbits like the size of their company, their title, and more). These should be more valuable than blog posts since they’re actually costing your prospect some personal information, so be sure to put in some extra effort if you want to create lead-gen content. There are countless studies about how engaging videos are and how much more people enjoy watching videos than reading boring words on a page. Not surprisingly, companies with the financial firepower are investing in cool branded short films and educational videos that seem to pop up conveniently just as you’re doing some online shopping (and research). Facebook, Twitter, Instagram, and LinkedIn are dominating our everyday lives, both personally and professionally. Because of this, their feeds are prime real estate for awareness-stage content. 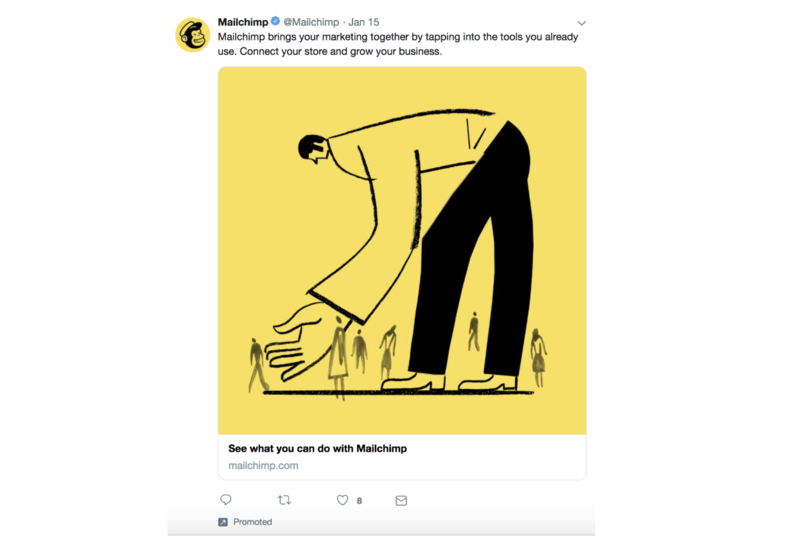 Here’s Mailchimp demonstrating this via an ad targeted at yours truly’s marketing-content-heavy Twitter feed. Ads, sponsored posts, and your company’s own branded posts are all ways of introducing yourself to a new audience. Look through the messages you get from customers and prospects. Which questions come up again and again? Create content that addresses these concerns and anticipates objections before they come up. Is your content focusing too much on your specific brand, key messaging, and products? (It shouldn’t.) Remember, this is not the time to sell. Beyond just talking about your industry and areas related to your product at large, does your content show off your expertise? Will it make your audience want to come to you first the next time they have a similar question? Ready to create awesome awareness-stage content? You’ve got everything you need to start setting some goals and mapping out content ideas. Onward!